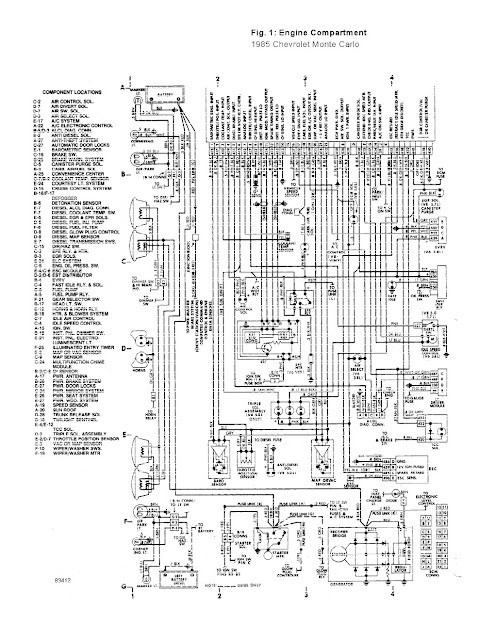 The schematic will be shown here is about the 1995 Chevrolet Monte Carlo SS Engine Compartment Wiring Diagram. 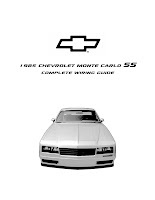 After the previous posting on 1995 Chevrolet Monte Carlo SS part 1 and part 2, now we are going to provide the 1995 Chevrolet Monte Carlo SS Engine Compartment Wiring Diagram. 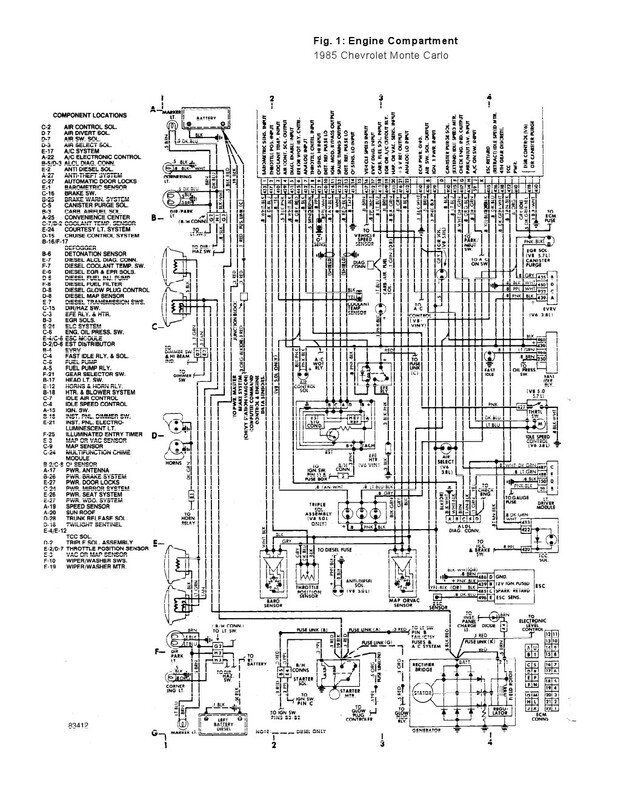 Be sure to understand comprehensively the schematic diagram before you attempt on your vehicle wiring system. It is good to reduce the risks of mistaken works. 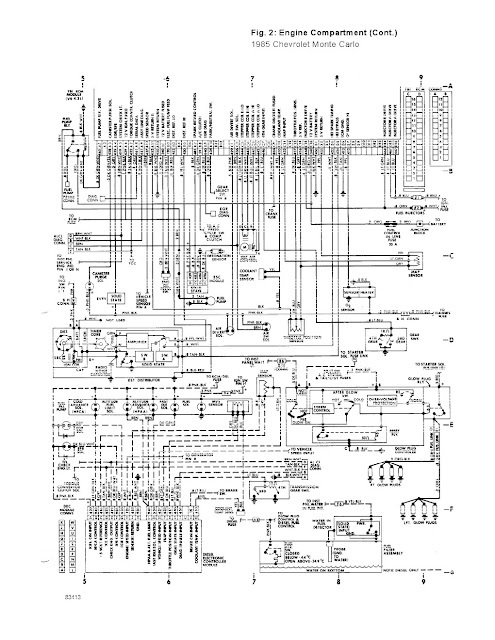 In this schematic electric diagram you will see some parts which support the engine compartment, namely: air control, air divert, automatic door lock, cruise control system, brake switch, fuel pump relay, headlight switch, power brake system and more. Hopefully this 1995 Chevrolet Monte Carlo SS Engine Compartment Wiring Diagram can assist you as a problem solver to your wiring problem. Click on images to enlarge.